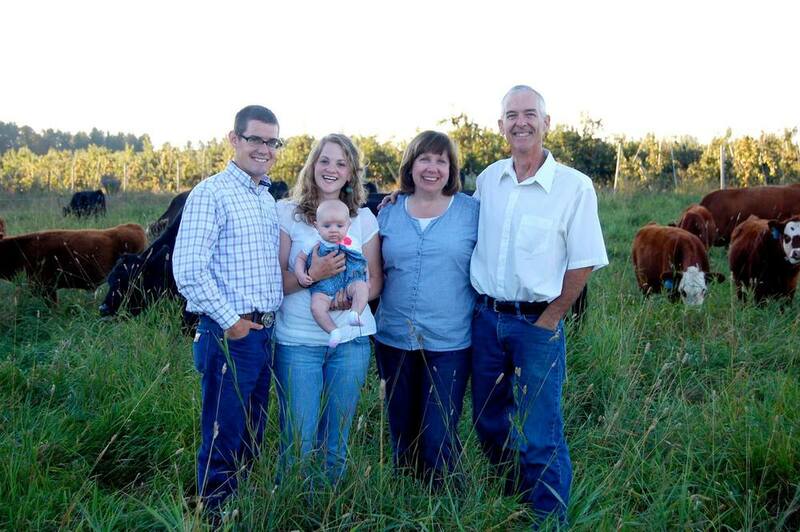 Meet the farmers behind Bannister Beef. Our family has been raising quality Angus cattle for 3 generations, here at Excelsior Farms in Kent, NY. We raise apples, peaches, angus cattle and kids on 155 acres just off the shores of Lake Ontario in Western New York. We pride ourselves in superior quality in every facet of our farm. Our small size allows us to focus on each animal and fruit tree with personal care. L-R: Robert, Bailey, Charlotte, Christine, and Roger.